You are free to decide which of our services you want to use! 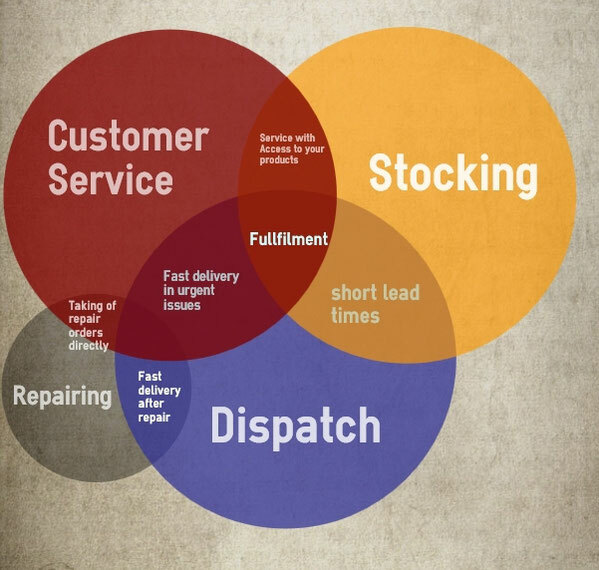 Should we only do the customer service for your company? Should we store and dispatch spare parts for you? Would you like to do the customer service on your own and only want to be supported by us in stocking and delivering goods? Or should we do the whole aftersale service for you? In Terms of this we are very flexible and will focus on your individual needs and demands. We do not offer any standard solutions - we offer individual and customized solutions! Your required service is not mentioned? Please contact us! We will organize an appropriate process.